2018 Columbus Day Pre-Registration is now open! Please note this is a pre-registration and does not guarantee admittance to the tournament. We will respond to your organization once the pre-registration applications are reviewed. Deposit is not due during pre registration. Please click on the age division to submit your team application. U8 "a little more than 3/4 ice" tournament ($1200) 2 teams on the ice. 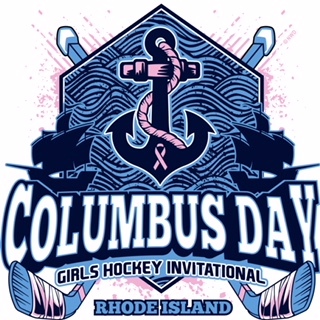 The Massachusetts Spitfires and the Rhode Island Sting are excited to invite you to the 4th Annual Rhode Island Columbus Day Invitational held October 5th - 8th 2018. Offering 2 to 3 levels at U8, U10, U12, U14, U16 and U19. All games 12-12-12 minute periods with the exception of U16 T1 and U19 T1 who have 15-15-15 minute periods. Onsite photographer. The tournament will be held in Rhode Island using Warwick, Smithfield, Cranston, Portsmouth Abbey, Providence College and Brown University. These unique locations are just minutes away from Providence College, Brown University, Salve Regina, Johnson and Wales and University of Rhode Island.